The recent proposal by B.C. Lottery Corp. (BCLC) to explore possibilities of setting up casinos in South of the Fraser and the North Shore regions is not gaining much traction, with only one of the five cities approached in North Shore expressing interest in hosting a casino. 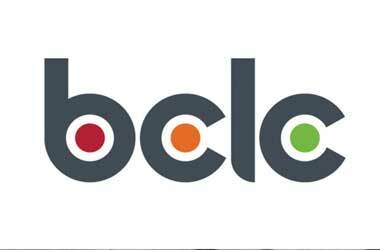 BCLC, the gaming regulator for British Columbia believes that since no casinos currently exist in North Shore, setting up a casino there would yield annual revenue of around $25 to $40 million, with the host community gaining as much as $1.5 to $2.2 million a year from the 10 percent revenue sharing policy. The five North Shore councils approached were North Vancouver City, West Vancouver,North Vancouver District, the Squamish Nation and Tsleil Waututh Nation. So far North Vancouver, the Squamish Nation and West Vancouver have made it clear that they were not going to send in an expression of interest while the Tsleil Waututh Nation is yet to respond.There are indications however that the City of North Vancouver might seriously consider the proposal. This reconsideration comes despite the city council rejected a proposal to develop gaming facilities at its Shipyards in 2015. A few council members feel that that the current proposal deserves a look as it could provide the city with additional revenue. Coun. Holly Back stated the revenue of $1.5 million to $2.2 million could benefit the city great and it was money that the city should not give up. Back said that she had consulted with council members of Burnaby and Richmond who had assured her they had faced no problems from hosting casinos in their regions, adding that they were in fact the best tenants. She refuted the typical notion that casinos bring negative effects, saying that they bring jobs, restaurants and amenity space. The previous application was very specifically wanting to go on public property and we were very adamant, and I’m still very adamant, I would not support anything being on our waterfront. We have numerous gaming facilities throughout the province, so I’d like to see something in terms of data that’s far more relevant than the early 1990s. Other council members who are suggesting that the proposal be further analyzed are Coun. Craig Keating and Mayor Darrell Mussatto. According to Mussatto, the proposal must be at least evaluated for its pros and cons before a final decision was made. With these four votes, a non-binding expression of interest can be sent to BCLC. However, there is still a significant section of the council opposing the proposal, saying that the city’s residents were not in favor of gaming facilities.